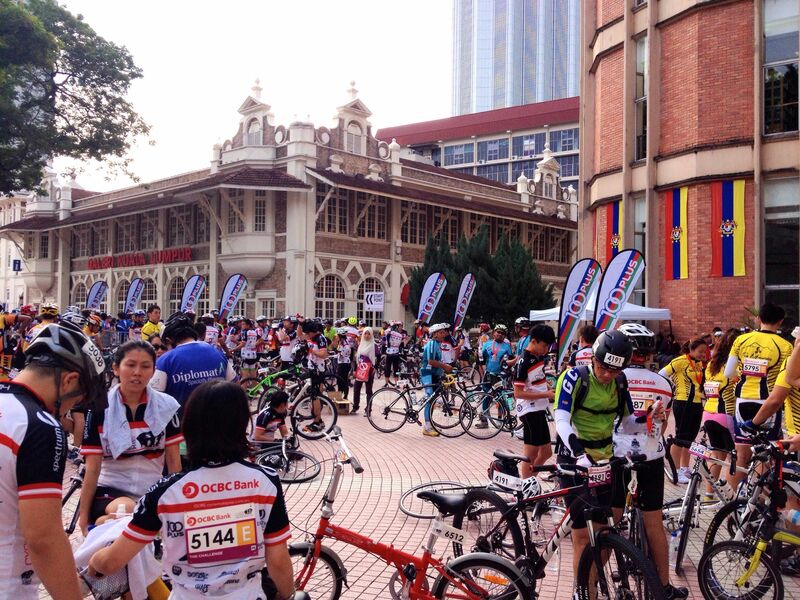 The streets of Kuala Lumpur were taken over by bicycles between the 17th and 19th of January. 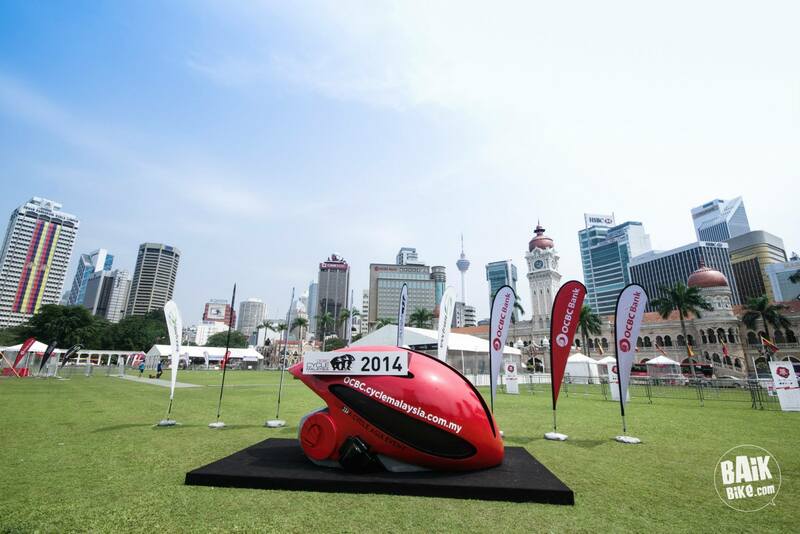 The OCBC Cycle Malaysia events were back in town for the third time. 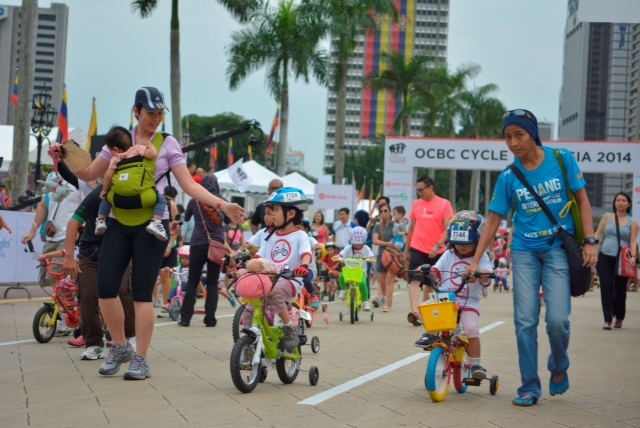 This year there were seven events on Saturday, including a tricycle ride for 2 to 5 year olds, kids rides for various age groups, an Ultimate Foldies Challenge, and a Criterium. 3,000 of us rode in one of the two events on Sunday. 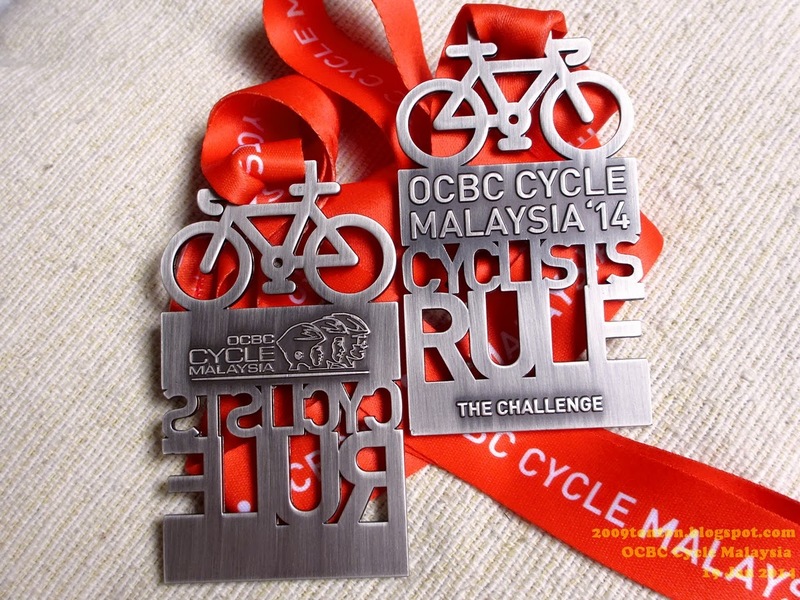 The 48 km Challenge ride. 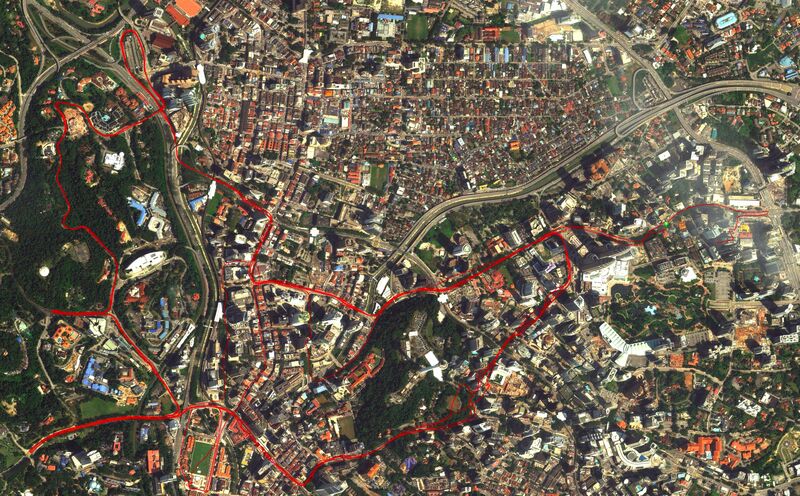 Four loops on closed roads in the center of KL. Click on the photograph below for a larger image. Zoom in and you’ll see the PETRONAS Twin Towers just outside the loop on the right. 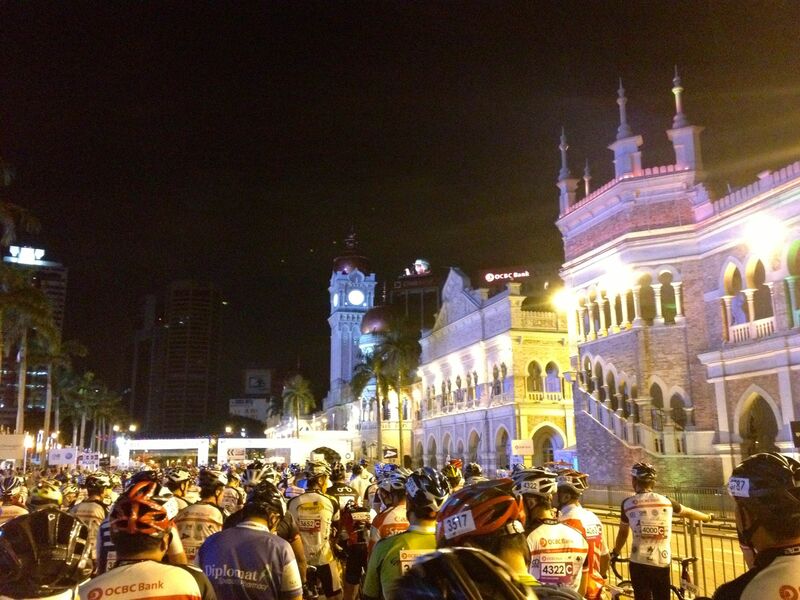 The start was scheduled for 6.30am, in front of the iconic Sultan Abdul Samad Building. The guest of honor and a participant in the Challenge Ride was the Minister of Youth and Sports, Yang Berhormat Encik Khairy Jamaluddin (number V9028). It was nice to have his support, but I wish he had been on time. 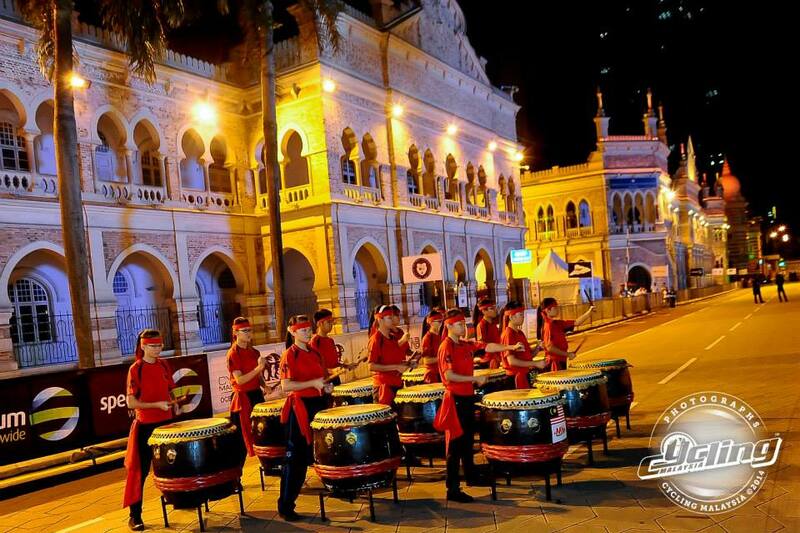 The poor drummers had to work overtime to keep the riders entertained while we all waited. We got underway at a few minutes past 7.00am. Once the speed demons had squeezed their way through to the front we all settled down to a relaxed spin through the city. I struck up a conversation with a rider next to me on the second lap. Alan and I kept each other company for the rest of the ride. While I was waiting after the finish a reader of this blog came up to me and said “hello.” What a treat that was! 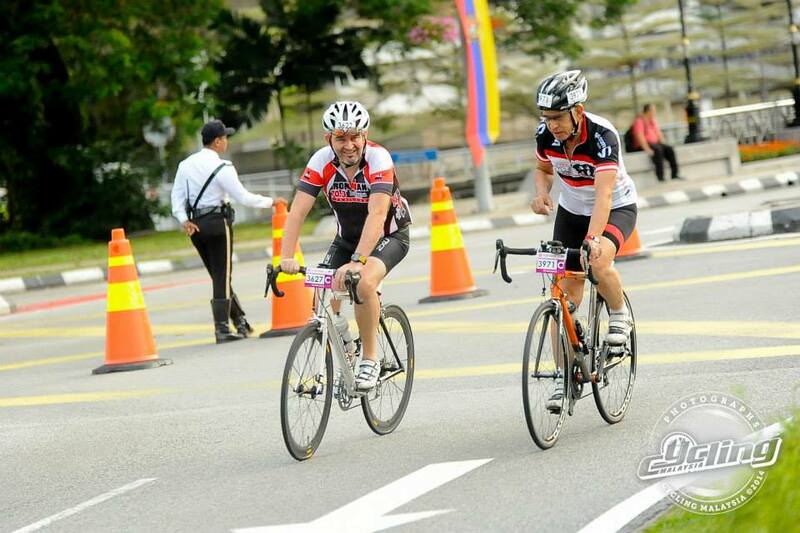 He came all the way from Kuala Terengganu to ride in The Challenge. Azlan, Shahfiq and I met up here. I’m not sure how anyone found their friends in crowds like this before we all had mobile phones. The rest of the Racun and Flipsiders groups met up on the other side of the finishing area to take a photograph with their medals. Azlan, Shahfiq and I cycled back onto the ride route to get to the Twin Towers area, where they had parked. As we passed Kedai Makanan Yut Kee on Jalan Dang Wangi we noticed some familiar faces at one of the tables. Jason, Cedric, Keat and others were tucking into breakfast. The three of us stopped and had soft-boiled eggs, toast with kaya and coffee too. A great end to a fun morning on my bicycle with good friends. 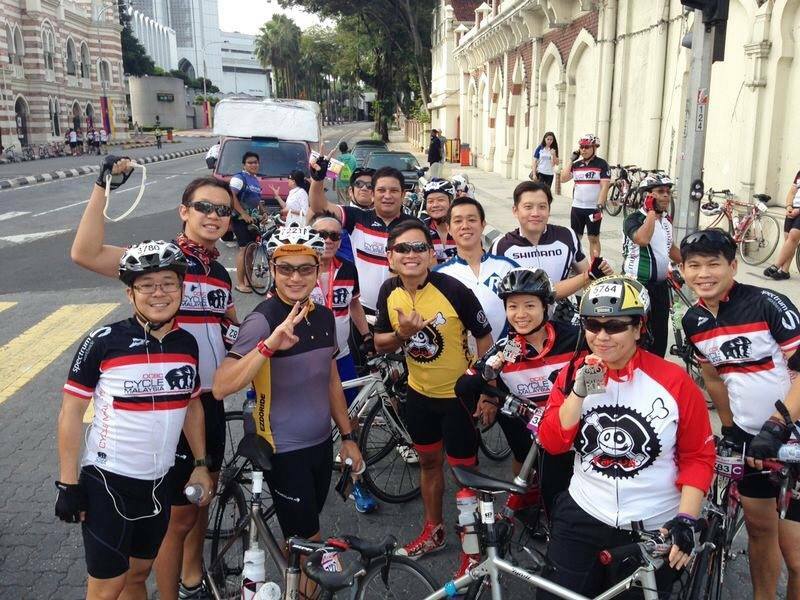 Posted in Cycling in Malaysia and tagged Kedai Makanan Yuk Kee, Kuala Lumpur, OCBC Cycle Malaysia 2014, Sultan Abdul Samad Building. Bookmark the permalink.